Update: Latest OnePlus 6 Oxygen OS 5.1.8 is now available for download with optimized call quality and network bug fixes. The previous Oxygen OS 5.1.7 came with Bootloader Unlock issue fix, front camera portrait mode including self timer and depth blur effect, Dual Sim 4G LTE Support, Battery Percentage Display, Power consumption optimizations, Louder ring volume and sound quality improvements, and much more. Oxygen OS 5.1.6 is also available, but due to instability issues, it has been canceled. So download and install the latest Oxygen OS 5.1.7 as well as the previous Oxygen OS 5.1.5 as full stock firmware zips and OTA update zip. –OnePlus 6 is the latest flagship phone from the emerging Chinese smartphone manufacturer – OnePlus. As always, it comes with the latest hardware and software specifications such as Snapdragon 845 processor, Adreno 630 GPU, 6 GB / 8 GB LPDDR4X RAM, UFS 2.1 2-LANE 64 GB / 128 GB / 256 GB, and Android 8.1 Oreo out of the box. It also support Project Treble and we already have the OnePlus 6 Android P Beta 2 update. Plus, it is waterproof. Here, you can download and update your OnePlus 6 to latest Oxygen OS 5.1.3 firmware update. Moreover, if you are looking forward to updating your OnePlus 6 to latest update, then see no further. The device is currently receiving Oxygen OS 5.1.3 OTA update with Android May 2018 security patch, OnePlus Switch application, configuration for notch show/hide, support for support super slow motion, and much more. See the full update log below. Here is a collection of all the available OnePlus 6 Oxygen OS updates including the full stock signed firmware zip files flashable via custom TWRP recovery, or stock recovery mode as well. We also have the incremental OTA update from previous OxygenOS 5.1.0 to OxygenOS 5.1.3. In the installation instructions, we have listed multiple ways to update your OnePlus 6 to latest firmware update available. Following are all the available downloads for OnePlus 6 latest OxygenOS downloads including full signed firmware, OTA update, Open Beta zips, Android P Developer Preview, and stock recovery as well. Restore to Stock OnePlus 6 – How to update OnePlus 6? There are multiple ways to update OnePlus 6 to the latest OxygenOS firmware update. The first is to grab the full stock firmware zip from above and do a Local Upgrade. The Local Upgrade method is the easiest way to update any OnePlus device. This includes upgrading to Android 8.1 Oreo or even downgrading to a previous one. This can be used regardless of which Oxygen OS version your device is running. You can even install the alternative H2OS firmware onto OnePlus 6. Download the latest available Oxygen OS 5.1.3 full stock firmware zip from above. Get the full firmware package from above for the OnePlus 6 and transfer the ROM file to the internal storage or phone storage. Place the zip file outside every folder. See the image below. Now go to Settings app > visit System updates > tap on the top right settings icon > choose Local Upgrade option. The Local Upgrade option will search for an upgrade package. Once you see an upgrade package, tap over it and then hit the install option. The device will automatically reboot and perform an upgrade. First boot may take a few minutes. If it doesn’t, you may want to perform a factory reset. However, doing so may result in loss of data. Secondly, you can capture the OTA update by going to Settings > System Updates > Check for OTA updates. Download OTA and install using stock recovery or ADB sideload method. If you don’t see any action there, thwn using a VPN application such as SurfEasy Secure Android VPN can help. The OTA is usually live in regions of Germany and Canada. So download a VPN app and change the location to the countries above and check for OTA updates. Read: How to root OnePlus 6? Make sure your OnePlus 6 has an Unlocked Bootloader. Make sure you have installed the latest TWRP recovery. 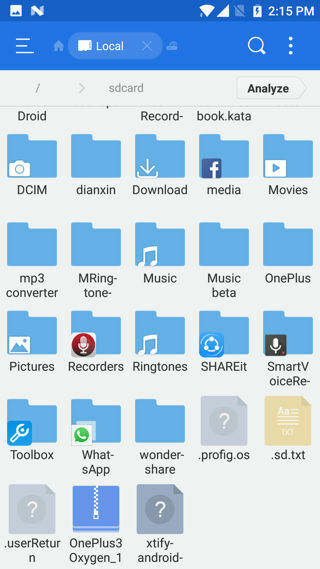 See how to install TWRP. Though rooting or flashing custom ROM may not void OnePlus warranty, we won’t be responsible for any damage to your device. 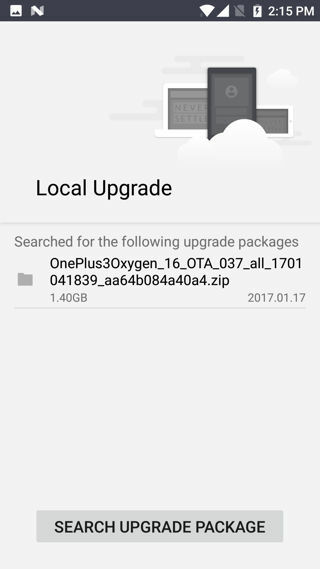 Download the latest Oxygen OS full firmware zip from above. Transfer all the files to device storage. Take a full Nandroid Backup. If you are coming from official OxygenOS, you can also do a dirty flash. Meaning, without wiping anything. However, if you have a custom ROM installed, is highly recommended to wipe the data, cache, and system first. So go to Wipe > Advanced wipe > and select partitions such as system, data, cache, etc. Do not wipe internal storage. Otherwise, do a factory reset from TWRP. Flash the Oxygen OS ROM zip. That’s it. Your OnePlus is now on the latest OxygenOS firmware update.